Oh my god, this is so cute! Thank you SO much SpiritWolf!!! Thank you very much WarrorCats!!! This is so fun! 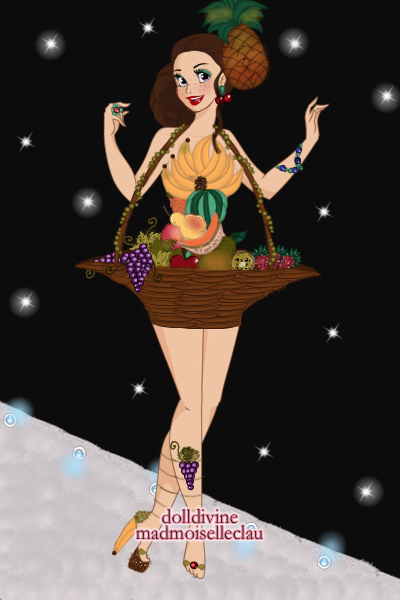 I adore how you made the fruit, it's so creative and cool! Brilliant!!! that is cool! great entry! Thank you so so so much hotchy! What an amazing creation! She just got my vote...didn't even know it was yours. I loved the banana heel, the kiwi fruit and of course that pineapple in her hair!!!!!!! This is just GR8!